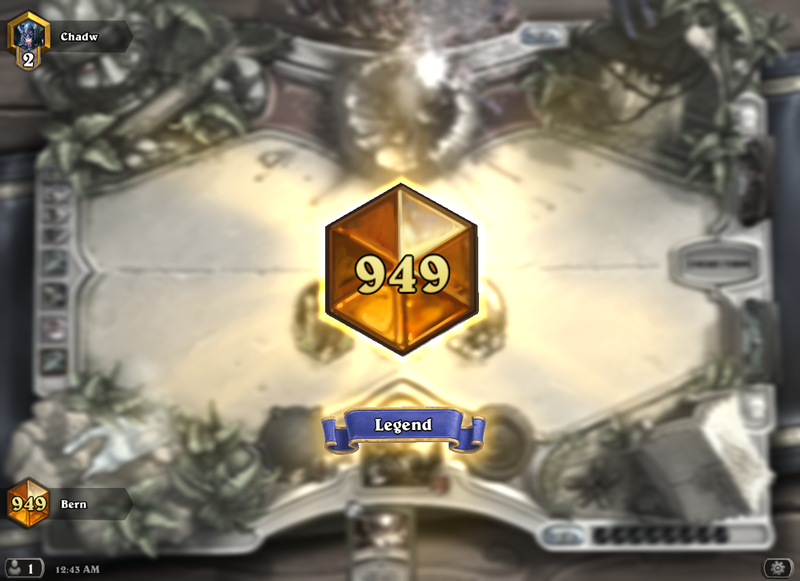 Hearthstone is one of the few games I play casually these days, and I finally decided to get legend ranking this month. I've been close a few times, but I never committed enough games to get it. Theoretically, as long as you can get to rank 5 and maintain a win rate over 50% you can get it; the higher your win rate, the lower the number of games you have to grind to get there. I was lazy and didn't track my stats and matchups, so I can't provide that. 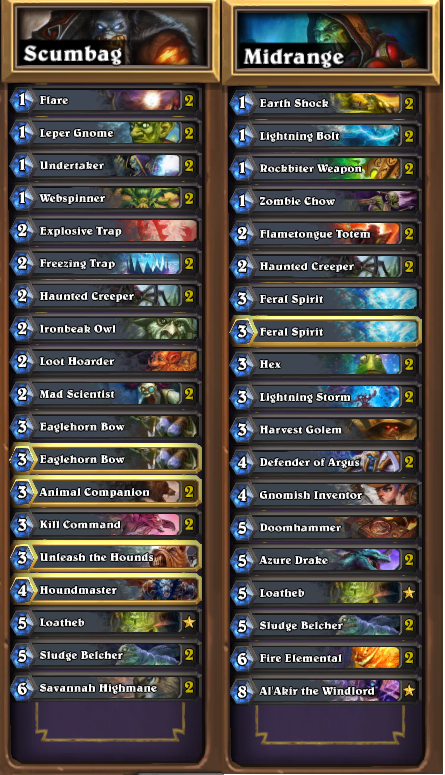 I used the shaman list to get to about rank 3 and 3 stars and used the hunter list the rest of the way because hunter games were usually quicker. Credits for the hunter list goes to JAB and the shaman list goes to Khymera. Check those guys out if you want to. Neither decks cost an exorbitant amount of dust, so try them out if you want to. As far as posting on anime, I feel that watching it mindlessly for fun is more enjoyable that watching for something to write about. The three that I'm enjoying this season are Shingeki no Bahamut Genesis, Fate/stay Night Unlimited Blade Works, and Amagi Brilliant Park. Check them out and have fun!